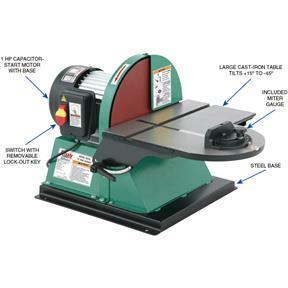 How many times have you thought a dedicated disc sander would help your production efforts? 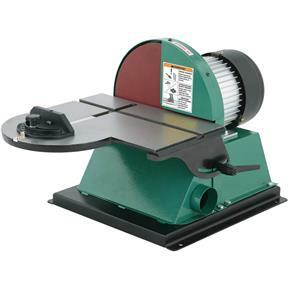 Well, stop wondering and add this 12" Disc Sander to your arsenal. The 12" cast-iron wheel uses PSA sanding discs, while the cast-iron table has full tilting capability to 45° and includes two-axis miter gauge support. A state-of-the-art motor brake stops the disc from spinning when power is switched off for added safety. 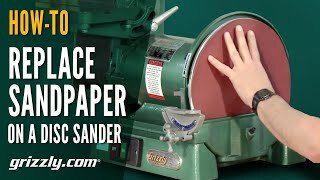 This Disc Sander is so handy, you’ll wonder how you ever got along without it! CSA certified meeting CSA C22.2 #71.2-M89 and UL 987-6 standards! Table size: 15-1/2" x 15"
Base size: 16-1/2" x 16-1/2"
Approximate shipping weight: 92 lbs. 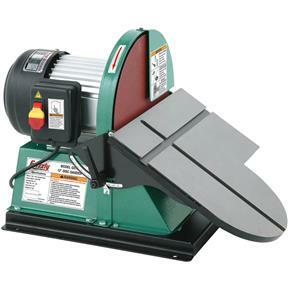 This is a very nice and well build Sander. I love that there are miter slots on both the x and y axis. 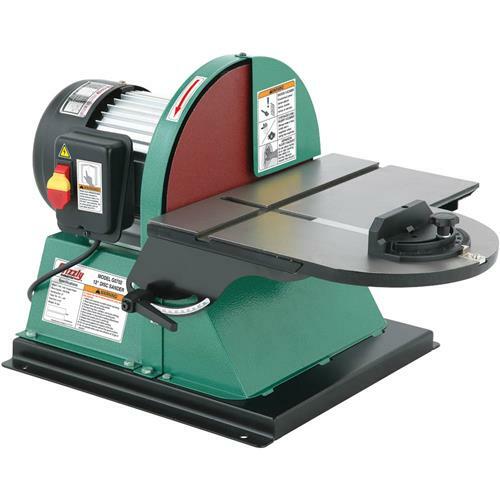 For the wish list: This sander has 5/8" miters. I wish they would make them standard 3/4" w x 3/8" d so the available precision miters would fit.